Automatic GCC spec BMW X6 with 19 inch wheels, 360 degree camera, leather seats, brown interior, white exterior. 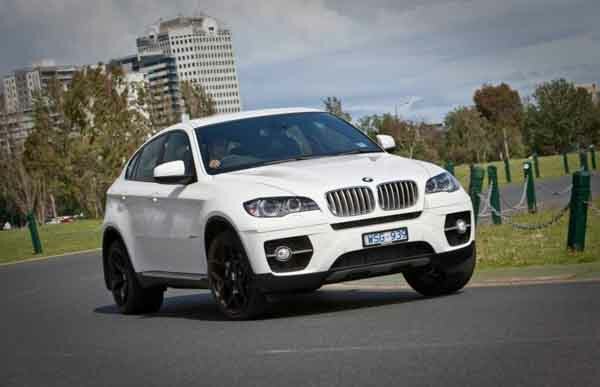 Imported spec BMW X6 with Alarm, 20″ wheels and Air conditioning. Price reduced! Black 2015 SUV/Crossover for AED 142,000. Red interior. It features airbags (front and side), 18 inch wheels and air conditioning. 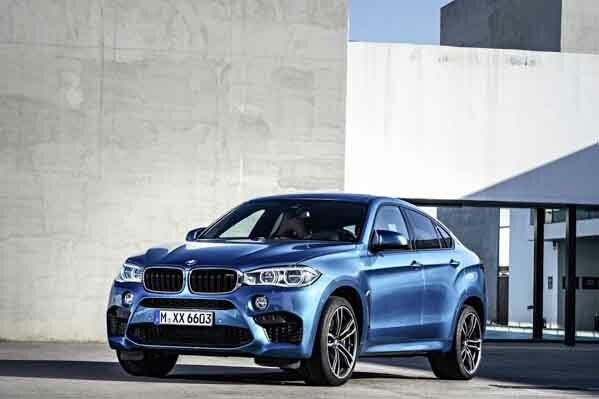 BMW X6 with many features, including climate control, power seats with memory, all wheel drive. White with burgundy interior. Automatic 2012 BMW X6 with 20 inch wheels, air conditioning, power locks, tan interior, white exterior. 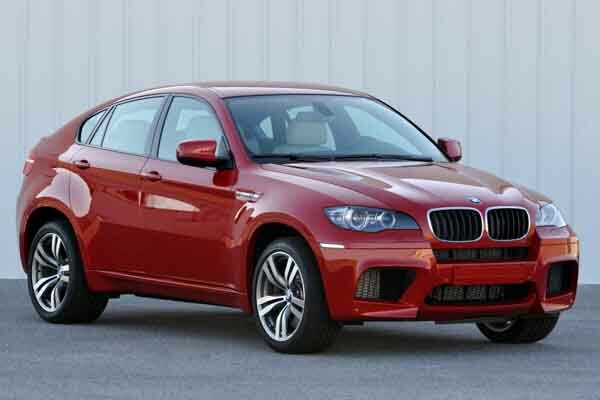 Automatic BMW X6 with 20 inch wheels, fog lights, rear TV screens, black interior, red exterior. AED 158,000 for this Automatic BMW X6 with 18 inch wheels, leather seats, air conditioning, brown interior, white exterior. 2012 BMW X6 with keyless go, 4WD, tuner/radio. It has burgundy interior and is Grey/Silver. GCC spec BMW X6, grey/silver SUV/Crossover with brown interior. It features bluetooth system, 16 inch wheels and air conditioning. Opportunity! 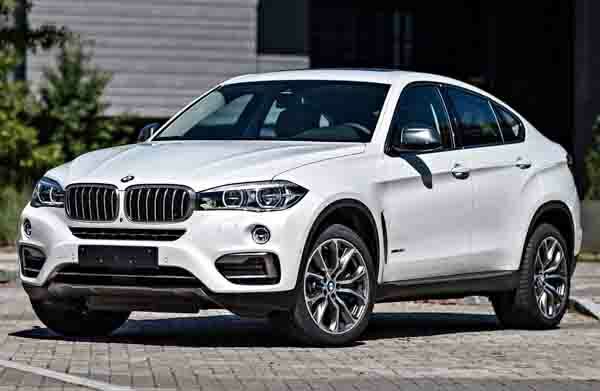 A 2019 white BMW X6 35i Exclusive(REF NO.13688) now available at a reduced price. Tom - Last year I bought myself an import used BMW X6 50i V8 XDrive and I haven’t looked back since. These cars are comfortable, offer great options and power. The only downside is the headroom available for rear passengers, but I still highly recommend anyone in Dubai to buy these cars. Pros: Comfort, handling and power. Cons: Headroom for rear passengers. Aboud - My second hand BMW X6 XDrive 35i is fantastic. I originally wanted to buy a V8 full option model, but that was out of my price range. Still, the V6 model does what I need it to in comfort and style. The ride is also very smooth, perfect for the UAE. Pros: Fuel consumption, ride and style. Riaz - I got myself a pre owned BMW X6 M Kit not too long ago, and I love it. It’s not X6M, but it still looks great, and I recommend anyone looking to buy used BMW X6 in Dubai, UAE to find one with the M Kit. Looks real good and is comfortable for everyone in my family, the only problem I have with it is the cargo space in the back. Pros: Comfort, looks and resale value. If you find the standard V8 seems underpowered, BMW also offers an M-powered version of the X6 that’s rather potent compared to the conventional engine. Even though it may not appear this way, but with the V6 motor equipped, the BMW X6 cars are more fuel economical than its rivals. Base models are well equipped, however, spend a little more cash and reap the benefits of all the expensive options. Finding someone to buy your second hand BMW X6 for sale in Dubai, UAE is quick and easy due to the car's popularity in the UAE. You can even sell it overseas in export markets too. With the Drive mode selector enabled, you can set up the vehicle you want it, or you can select from a handful of pre-determined settings ranging from Eco to Sport modes. BMW calls it the first Sports Activity Crossover or SAC for short in the world which is quite a bold claim although they are right. It’s also the first BMW to utilise the new Dynamic Performance Control system at the time which would go on to pop up in many other vehicles in the BMW lineup. Some may say they look like raised BMW sedan's and that's beacuse essentially it is. Available as a four seater of a five, the X6 caters to those who want something stylish, large and filled with luxurious options. Road Rivals:Infiniti QX70, Lexus RX Series and the Mercedes-Benz GLE Series. Rolling out of the factory as a 2009 model, the BMW X6 measured in longer and wider than the BMW X5 and also sits lower to the ground. Initially, seating arrangements were made for four occupants. However, five seater variants were introduced in 2011. Standard options of the X6 include adaptive xenon headlights, 19-inch alloys on each corner, tyre pressure monitor, run flat tyres, iDrive onboard computer system, power seats and unique sets of leather colour palettes from X5 models. Extra options include a flip-out rear TV screen, multi-zone digital A/C, memory seats, navigation, sunroof, larger 20-inch rims, roof rails, rear spoiler reverse camera and an automatic tailgate. Stock safety features include front and side airbags, ABS, stability control and crash-activated front seat headrests. X6M models debuted in 2010 and are aimed towards those who want an extra edge when driving as the vehicle not only looks more aggressive, it is rated higher than standard models. Notably, differences include the rear diffuser, front bumper, 20-inch rims along with different badges. Inside, are sports seats in the front rows, M badging, and optional carbon fibre trim. In 2013, the BWM received a minor facelift to breath new life into the crossover. This touch up includes a lifted front up, revised lights and new materials inside. Power is exclusively drawn from a 3.5-litre V6, or a 4.4-litre V8 turbocharged petrol motor powering all four of the vehicle's wheels. Only automatic transmissions are available petrol models controlled by a six-speed automatic with hybrids controlled by an eight-speed automatic instead. X6 M models are powered by the same engine. However, it’s slightly tuned for a higher output allowing the vehicle to hit 100 km/h in 4.7 seconds. Officially in its second generation, the BMW X6 sports an all new body complete with redesigned lights at the front and back along with an enhanced interior. BMW built the new version from lighter materials giving the vehicle increased fuel economy not to mention quicker. Standard options remain identical from the previous models, however the options list grows to include a panoramic sunroof, heads up display, smartphone integration, keyless start, leather covered dashboard, Nappa leather seats, active cruise control, side mounted cameras, top view camera, front camera, full LED headlights, lane departure warning and active steering. X6M versions are also updated and feature their unique styling providing more aggression, while they benefit from select new features, a handful are exclusive to the model. Harmon Kardon Sound System, aluminium trim, Alcantara roof liner, cooled front seats and 21-inch alloys along with previous features. Power comes from two engines. Either a V6 3-litre turbocharged unit or a 4.4-litre V8 motor. Both power all four wheels via an eight-speed automatic gearbox, rear wheel drive models are available in export markets. X6M models are powered exclusively by the V8 motor and is rated at 567 horsepower.